Follow the isolated trails along dramatic ridges, traditional ancient villages with wooden cottages, picturesque mountains, lakes, coasts and dense forests. Visit the Pauline Monastery, home of the black Madonna painting, shrine of the Virgin Mary. Continue to visit Oświęcim, incorporated under the 3rd Reich and commonly known as the location of the Auschwitz concentration camp during 6 years. Discover the Auschwitz-Birkenau concentration camp built and operated in 1940, receiving more than 35 million visitors since its creation on June 14, 1957 and housing a memorial & museum in memory of the lost lives under the Nazi occupation. 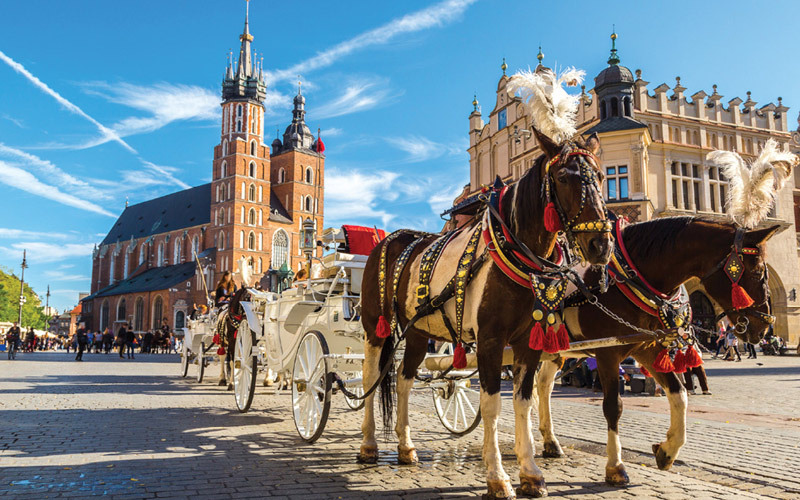 Discover the old town of Krakow, the market square, and the cloth hall, the Krakow gothic university Jagelloone, forts and Barbican. 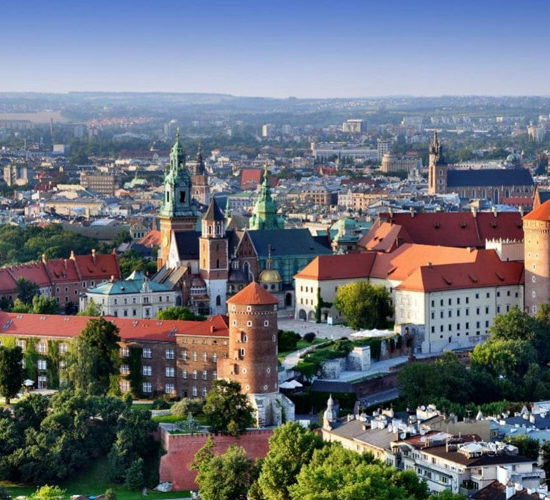 Head up to Wawel Hill, visit the Wawel Castle perched on top of the hill and representative of the Medieval, Renaissance and Baroque architectural styles. The castle also houses the jewels of the crown. Later, visit the Wawel Royal Cathedral of St Stanislaus, 2nd oldest cathedral in size, counting 2.6 m diameter and a weight of 11 tons. Head towards St Mary Basilica and the former Jewish district of Kazimierz, currently transformed into a trendy area of coffee shops and bars. In the afternoon, take a detour to Wieliczka undergrounds and visit the world’s oldest exploited salt mines. 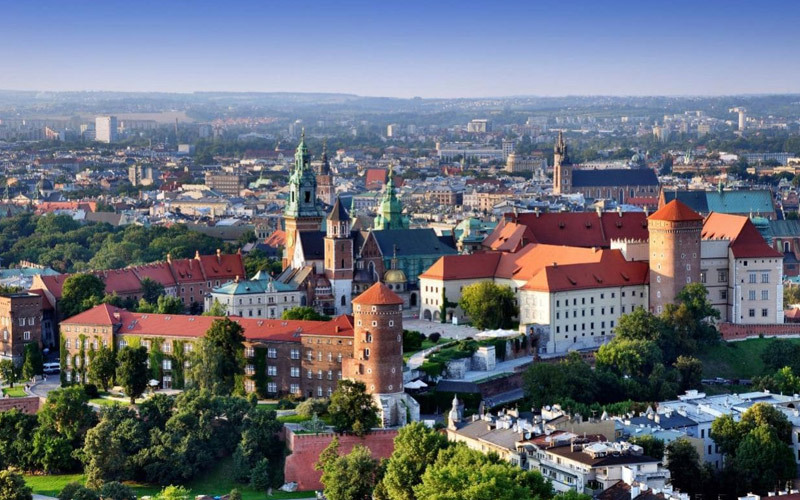 Head South towards Wroclaw; walk around the city and stop at the Centennial Hall. Visit the central market square and the provincial capital, considered as national and traditional sanctuary. 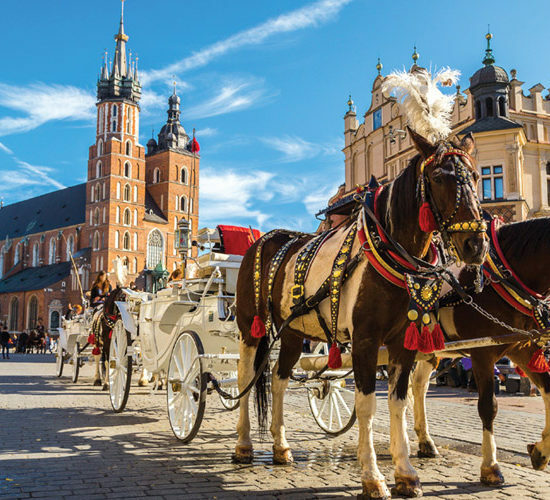 Stroll in the old town centered on Stary Rynek, the Old Market Square and the historic Poznań Town Hall making it one of Europe’s most beautiful towns. Take the city guided visit and enjoy its famous landmarks. Head north; visit Malbork castle, the Medieval fortress and its iconic walls, the labyrinth and private chambers. After lunch, head towards Gdansk, one of Poland most beautiful cities. Also named "Aurea Porta" or the golden gate, the city is located on the Baltic Sea, at the main Vistula river artery. Gdansk’s Old Town, reconstructed to its Hanseatic League glory after being leveled in World War II, is a highlight. The 14th-century Town Hall houses the city’s historical museum. Take the train to Warsaw and enjoy the Polish capital guided city visit: The Royal Route and the old town square, the uprising monument, the tomb of the Unknown Soldier and the Royal Sigismund Bell and tower… Discover the Wawel Royal castle and a walk in Lazienki park and palace complex famous for music composer Chopin. Don’t miss the palace on the island, most significant building in the park.